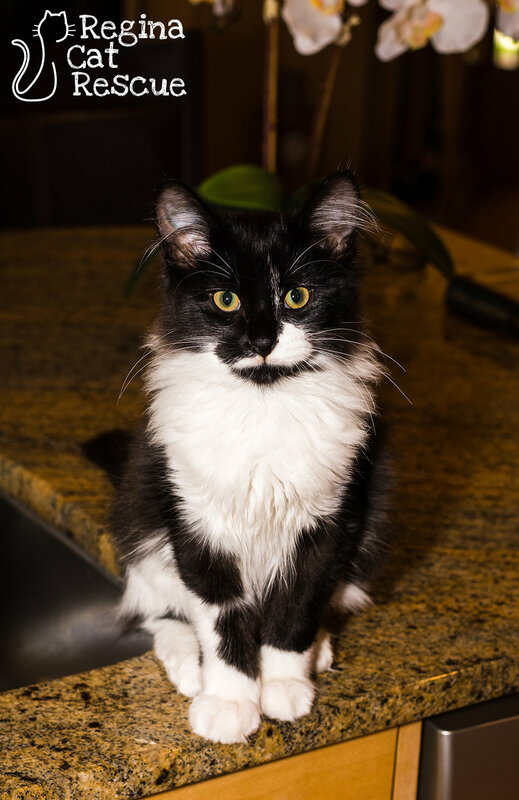 Presli is a pretty little kitty who was rescued from the streets along with her siblings early in the spring. RCR volunteers knew they weren't meant for the street life. They were placed into foster care where they thrived! Little Presli is the brains of operation! She is a clever girl who loves to find new places to explore. She's generally the victor in turf battles with her two brothers, and is a very adorable little girl. Presli is very affectionate and enjoys regular chest and belly rubs! Presli would love to be adopted with one or both of her siblings, Elvis and Alfie! If you are interested in Presli, click here to view our adoption contract and click here to complete an adoption application or email the RCR Adoption Coordinator at adoptions@reginacatrescue.com for more info.